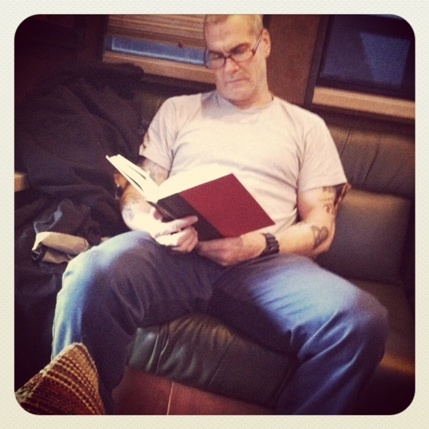 Even tough guy Henry Rollins reads. I'm enjoying my book club of one. No Shiraz swilling friends forcing me to read books I have no desire to spend my time on. Nope, just me keeping a promise to myself - to read for fun - after the disaster known as "The House of the Seven Gables." I still shudder with hatred when I hear that title. 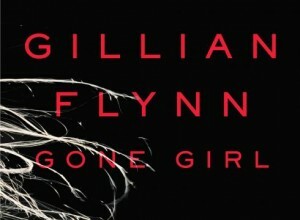 When I asked friends, followers and tweeps for a book suggestion, Gillian Flynn's Gone Girl came up over and over and over. Both men and women suggested it, so I figured it had to be worth a shot. Oh my, what a shot it was. This is the first book that I have read in a long time that is current. Many books are set in the past or in a timeless bubble that it fits into today or ten years from now. This book is in current times, and with the endless news cycle of late, it could have been yoinked from today's headlines. Gone Girl is about Nick and Amy, a couple that move from their perfect New York apartment and lives after a series of events most people can relate to these days; financial distress, job loss, and family illness, to Nick's hometown in small town Missouri. The morning of their 5th wedding anniversary, Amy disappears. Did she leave her life behind for something else or was it something more sinister? What happens next, we have all seen too often. Nick goes in front of the cameras searching for his wife as the distraught husband, to the scorn of the public when the bright light of the media turns on him. The first section is Nick's narrative interwoven with excerpts from Amy's diary. Two very different stories emerge. There are so many twists and turns in the second half that I don't want to give anything away. I was left rereading the last page, once, twice, a third time. Hop on over to your library or the internet and check it out.